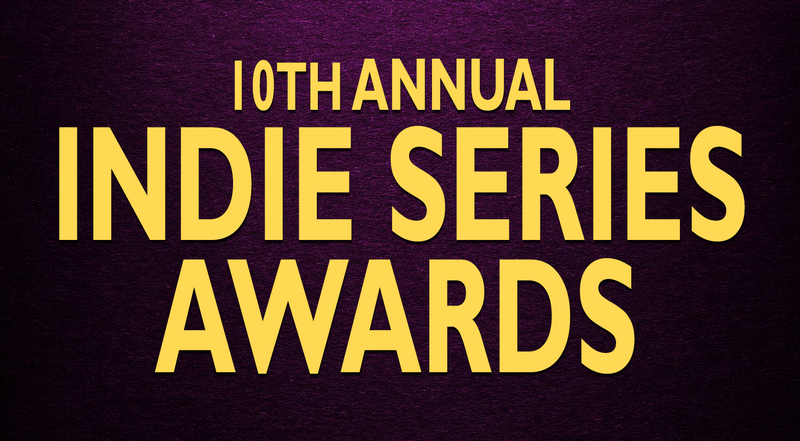 BURBANK, CA, April 3, 2019 – The winners of the 10th Annual Indie Series Awards were revealed on Wednesday, April 3 at The Colony Theatre in Burbank. The ISAs celebrate the best in independently produced entertainment created for the Web. The first round of presenters for the 10th Annual Indie Series Awards was announced this morning by producers Roger Newcomb, Kevin Mulcahy Jr. and Susan Bernhardt. To help honor the incredible slate of 2019 nominees, 13 stars were added to the list of presenters. Nikki Coble, Anne Marie Cummings, Patrika Darbo, Inessa Frantowski, Adam Henry Garcia, Marem Hassler, Tanee McCall, Joy McElveen, Brian Michael, Kevin Spirtas, Wesley Taylor, Wayne Wilcox and Alex Wyse will be taking the ISAs stage as presenters. "The ISA nominees have captured the hearts of fans across the globe with their captivating stories and performances,” said Newcomb, Mulcahy and Bernhardt. In addition, musical performances from Best Original Song nominees Drew Anthuny, Colin Deane, Justin Leakey and Ashly Williams were also announced. The producers will continue to announce talent joining the show in the coming weeks. The 10th Annual Indie Series Awards will be held at The Colony Theatre in Burbank on Wednesday, April 3 at 8 p.m. PT/11 p.m. ET. 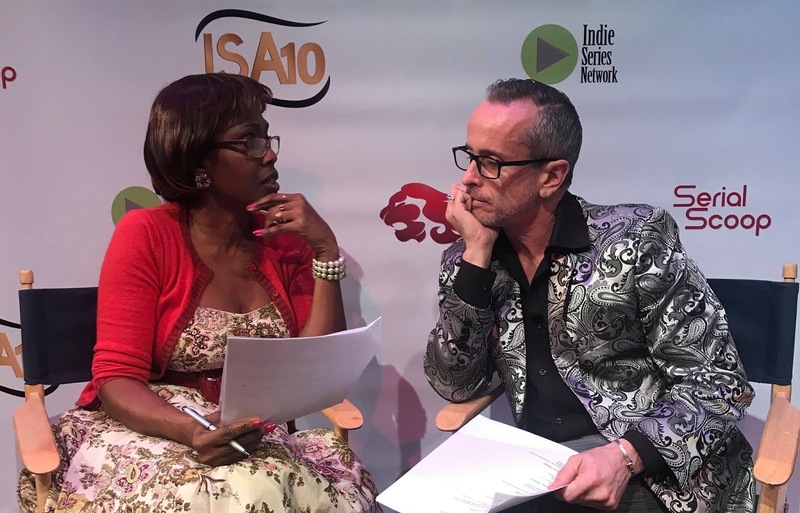 Dee Freeman and Michael Taylor Gray announced the 10th Annual Indie Series Awards nominees on Wednesday at The Colony Theatre. 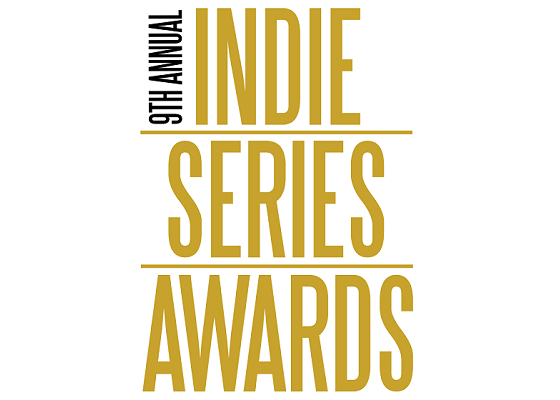 The annual Indie Series Awards is an initiative to elevate the entire indie series genre, organized by the nonprofit Indie Series Network. All proceeds from entry fees, ticket sales, program ads, etc. are reinvested in the production of the event. 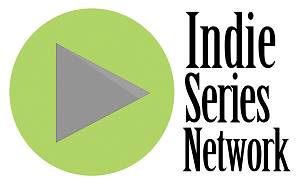 ISA10 is produced by We Love Soaps LLC (Crown Heights, Brooklyn) in cooperation with the Indie Series Network (IndieSeriesNetwork.org) and media partner Serial Scoop. Micah wants to be with Maggie, but Maggie wants to go to Mars. Can their love survive her one-way ticket to another planet? “My Astronaut,” an eight episode mockumentary web series, answers the question of what one dim-witted boyfriend does to keep his girlfriend from leaving and his life from changing forever. The trailer is out now, and the pilot will premiere on May 3, 2018. The series features comedians Scott Adsit (30 Rock), Sarah Stiles (Get Shorty), and Pia Glenn (The Opposition with Jordan Klepper) in supporting roles. Season one starts with two bewildered filmmakers arriving to profile Maggie Placek (Magdalena Waz), an underdog candidate for a civilian mission to Mars, but they soon find that her boyfriend, Micah Pevsner (Micah Paisner), might hold the key to a story far more compelling than a simple 30 second candidate bio. Shot in 3 out of 5 of New York City’s boroughs, the “My Astronaut” team took full advantage of everything the city had to offer including iconic locations like the Staten Island Ferry and the Columbia University campus, and less iconic locations, like the Red Hook IKEA and the sleepy neighborhoods of Staten Island. The eight episodes of season one will premiere once a week on YouTube and Vimeo every Thursday. BJ Downs is a multiple award-winning cinematographer and VFX designer. Inspired at an early age by science fiction movies, he quickly developed an affinity for the visual arts. Since, he has produced commercials for several international brands; including Adidas, Mad Decent, and BMW. He also has worked on several award-winning independent films, helping to bring the director's creative vision into reality. Now, he is pioneering new effects and workflows for VR; driven by the pursuit of incredible immersion. Micah Paisner is a Los Angeles-based screenwriter who hails from Chicago. From an early age, he was interested in comedy, and after graduating from Lawrence University, he enrolled in Second City Chicago's sketch writing program. He relocated to New York to get his MFA in Screenwriting at Columbia University. His scripts have been chosen as finalists in multiple contests, and his most recent film "You, Me & Me" (2016) has screened in festivals across the country. Magdalena Waz moved from Kraków to Chicago to Wisconsin to Ohio to New York to Los Angeles. She's a writer and editor whose articles, essays, and fiction have appeared in Threadcount, Necessary Fiction, and The Collagist. She holds an MA from Miami University (Ohio) in creative writing, and her debut novel, Return on Investment, was published by Fiction Attic Press in 2016. Nick Weiss-Richmond is an LA-based writer, director and editor originally from Boston, Massachusetts. Recent projects include the short “Molly Mayor” (2017), an official selection at Charlotte, Atlanta Shorts, Woods Hole, New Hampshire, Great Lakes and Santa Fe Independent Film Festivals. He holds an MFA in directing from Columbia University and has taught at various institutions, including Adelphi University. Watch the 9th Annual Indie Series Awards, which was held on April 4, 2018, at The Colony Theatre in Burbank. The ceremony was hosted by Emmy Award winner Patrika Darbo. On April 20, the stoner dramedy web-series Brosa Nostra made its online premiere on Amazon Prime Video. In Brosa Nostra, after 33 years of exile, fraternity president Steve Olivieri (Jason David) wants Sigma Mu Theta (𝚺𝚳𝚹) to return to Greek Row at Southern California College. A legion of fraternity presidents would rather they not. Their way in? A new strain of 𝚺𝚳𝚹 weed and a high worthy of Greek Row. But will IFC find Steve’s proposal dank or not dank? Before it’s web debut, the series premiere screened at Hollyweb Festival, Hollywood Comedy Shorts, and Die Laughing Film Festival and received a Silver Remi for Best Web Series at Worldfest-Houston Independent Film Festival in 2017. Brosa Nostra stars Jason David, Autumn Chiklis, Tre Hall & Jack Shulruff and features Ronak Gandhi, Eddie Shan, Isaac Jay, Geoffrey Katz, Dani Goffstein, Alex Diehl, Marcus Wayne & Romeo Miller as co-stars. The series is created and written by Mike Smith, Zach Rodham & Connor Fitzgerald; and is produced by James Goldberg & Marc Rosenzweig, executive producers Noor Alfallah, Remi Alfallah & Nicole Boxer, and Zephyr Entertainment. About Zephyr Entertainment Network, LLC: Zephyr Entertainment is a Los Angeles-based production company dedicated to reinventing classic cinema in the New Media Era and fostering a community of forward thinking creatives. For more information, visit zephyrentertainment.net.